I love Lauren Oliver. Seriously, I have a full on, somewhat creepy girl crush on her and her stories. I read Before I Fall back when I first started blogging in 2010, and it completely won me over with its plot, its characters, and its ending. I sobbed. Since then, I’ve made it my mission to read every book that Oliver brings out. Well, her YA stuff, since I have yet to read any of her Middle Grade. But that’s not the point I’m trying to make here! My point is that I was so freakin’ excited to read Panic that I almost fainted when I was approved for it on Edelweiss. I thought for sure that Panic would be a five star read for me. The teenagers in this boring small town take part in an annual game called Panic, and the winner goes home with a giant jackpot. Of course, the game is really freakin’ dangerous. Did you really expect these teens to do things lightly? Nope, they sneak into pens with dangerous animals, steal from trigger-happy old men, and their first task is to jump from a bridge.And it was pretty great, I must admit. I liked reading about what was driving all of these different characters to complete the tasks. I think you would have to be pretty desperate if you were to do these tasks and try to win the game. I wouldn’t have even jumped off the bridge on the first night. My main issue with this book was the characters. I wasn’t able to connect with any of them, and I think that my lack of feelings towards all of them is reason enough to knock two stars from my rating. As I mentioned above, the characters’ motives were important to me. You don’t go robbing people or climbing into pens with wild animals for no reason. Unfortunately, since I was unable to connect with any of them, I didn’t really care for their motives. The book is told from the points of view of Heather and Dodge. I definitely preferred Heather’s chapters, and her relationship with her little sister was great. Dodge was disappointing, though. I wasn’t interested in his revenge in the slightest, and I think he came across as overly angry and bitter. Of course, I understand why, since some serious things happened to some of his family members, but I couldn’t connect with him at all. If you’ve been reading other reviews of this book, you’ll probably have found out that there’s a twist at about 60% of the way through. I’ve read a couple of reviews myself, and everyone seems to have figured out the twist before it happened. Somehow, I didn’t. Which is surprising, because usually I see a twist coming from a mile away, but I didn’t with this book. Maybe it’s because I wasn’t completely invested with these characters, and therefore I wasn’t paying attention to whatever hints were thrown in. Panic was a good book, don’t get me wrong. I enjoyed the thrill of the game, and I was always excited to see what the characters would have to go through next in order to win the money. I just didn’t like the characters, and that seriously impacted the story for me. 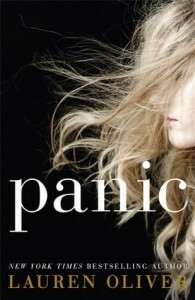 Panic is a very dark contemporary that many readers will love and enjoy. It’s far from my favourite Lauren Oliver book – that title still belongs to Before I Fall, the reigning champion – but it’s considerably better than Requiem, the finale to the Delirium trilogy. Maybe I should get on that? YES! I would suggest starting with Before I Fall, because it’s absolutely beautiful. Her Delirium trilogy isn’t for everyone, though. I totally agree with your review. I, too, gave it 3 stars. And it was only 3 stars b/c I love Oliver’s writing. I think she really is a fantastic writer. But for me, this story was boring. I could not connect with any of the characters at all. I had zero empathy for them. Even for Dodges sister who I feel like I should have felt for, NOTHING. And it was totally predictable with all the inner plotting between the teens for the money and such. Oh and I figured out from the start who the judge was. Seemed totally obvious to me. So really I would have given this two stars had it not been for the fact that I really do love Oliver’s writing. I thought for sure this one would have won me over like Before I Fall did (which I thought was a fantastic book). But I’ve been slowing falling out of love with Oliver since Requiem (which I didn’t think lived up to par with the rest of that series at all). I hope her adult novel fares better for me if I chose to read it. I think Oliver is a fantastic writer, but I have to agree that her last two books have been rather average. I adored Before I Fall and Pandemonium, but Requiem left a lot to be desired. And while I enjoyed this, I was disappointed because I was ready for something to sweep me off my feet. I didn’t know she had an adult novel coming out (at least, I don’t think I did?) so I will have to check that out. I think my main problem was, I didn’t know it was a Contemporary. When I looked on Goodreads, the main shelf was Dystopian (is it changed by now? I don’t know) And after that, I couldn’t connect with the stupid characters and together, it made it a no-go for me. I’m glad you could enjoy it more than I did. In my review I say I give up on her YA, but I remember I have a copy for Before I fall, so I might try it after all. Heather’s relationship with her sister was indeed cute! And I think not guessing the twist makes it more enjoyable too. I haven’t looked at the Goodreads shelves for a while. I don’t know where everyone keeps getting the idea that books are dystopian from! It seems to happen often nowadays. Maybe people expect it. You should definitely try Before I Fall! I adored it back in 2010, although I fear my tastes might have changed since then. 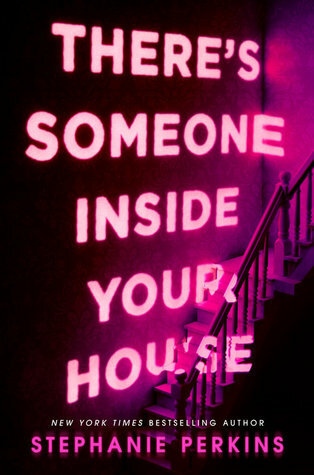 I’m scared to reread it in case I don’t love it as much! I’ve seen a lot of people enjoy the story but not connect with these characters. I’ll still be reading it but I’m glad I’ll be going into it knowing about issues people have had with it. I don’t deal well with multiple POV books anyway so we’ll see how it goes. Better than Requiem…not sure that’s exactly a ringing endorsement. 🙂 I absolutely loved Delirium and Pandemonium, but Requiem was so disappointing (although after Allegiant, Requiem is looking a lot better). I’ve still never read Before I Fall, which I really should. I just got Panic from the library so I’m definitely reading it, but I’ve lowered my expectations a lot after reading so many negative reviews (or rather, not glowing reviews). I’m like you, if I don’t connect with the characters, it really affects how I feel about the book.